Morning! 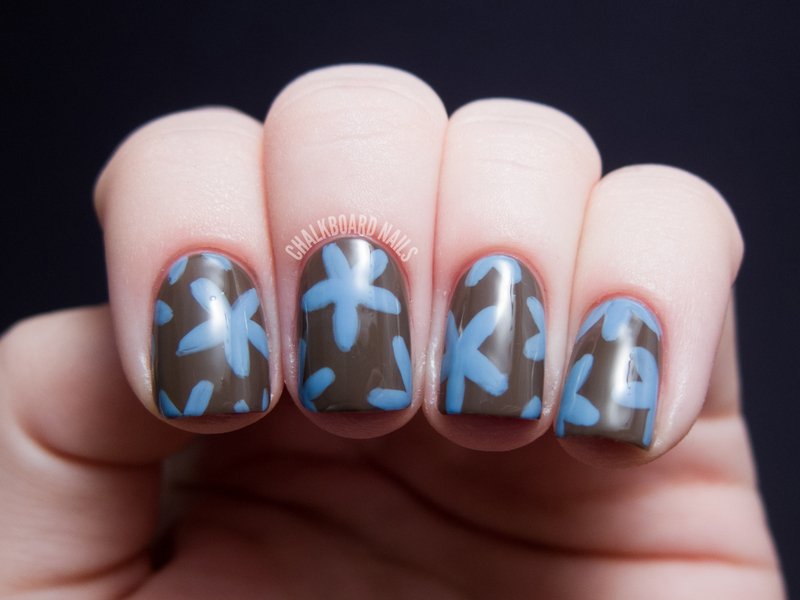 For today's post, I did some simple nail art with two of the newer butter LONDON shades. I thought they looked so nice together that once I had done this much, I just didn't want to add anything more! 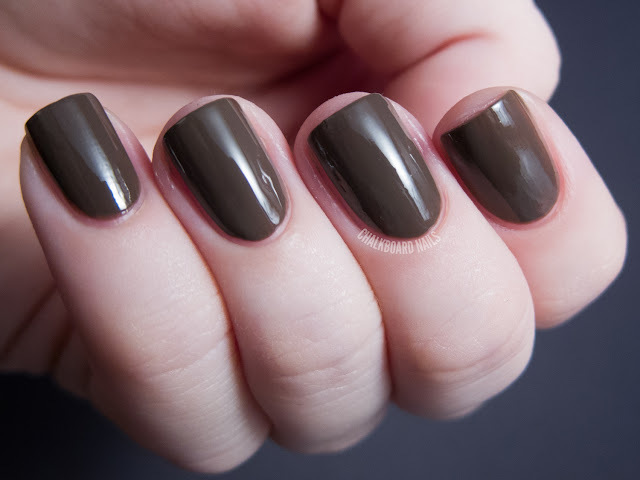 The brown base color is Teetotal, a cool toned dark chocolate-y brown. I don't have any brown shades like it in my stash, most of them are warmer! 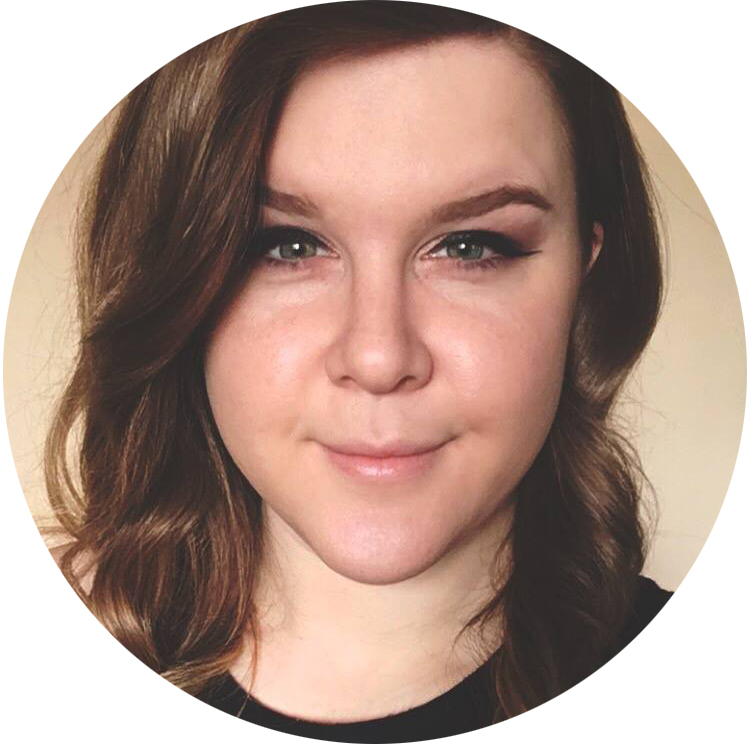 I used two coats of Teetotal, and it had the same amazing butter LONDON formula as always. Easy, smooth, and lovely. The flowers are done in Sprog, a pretty periwinkle blue creme. This particular polish goes on pretty thin for the first coat but only needs a second coat to bring it to opacity. Again, the formula was great and applied very easily. Here are swatches of Sprog and Teetotal alone. These photos are actually without topcoat, and look how shiny they both are! I really love Sprog, in particular. butter LONDON lacquers retail for $14 and can be purchased at butterlondon.com. These particular colors are exclusive to Ulta retail stores, so head on down if you want to buy these in person! So pretty, reminds me of a really posh wallpaper! I love it, very classy! How cute!! These make a great combination. I love Sprog! The name makes me laugh. :) This is a great, simple mani! What a beautiful pattern! These colours are exclusively at Ulta if anyone wants to buy them. 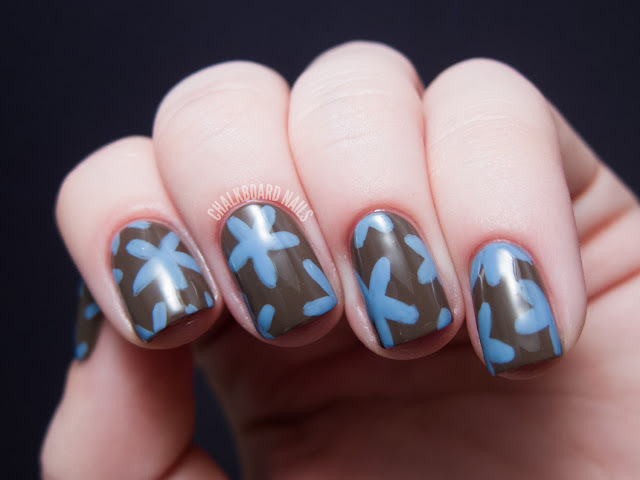 They look like blue starfish! Cute as flowers though, too! Sooo pretty! It looks so modern! These colors are pretty - I love brown polish! What a pretty color combo! Well connected to Major Expressway such as Pan-Island Expressway (PIE) and Central Expressway (CTE) to get you to places in no time.